Since November I've been making progress on building my Etsy shop by adding products that I believe will sell on that platform. I've decided to build an Etsy page featuring my prints and notecards. I think of my Etsy shop as a way to offer work that is affordable, yet features original artwork that I am proud of. My cyanotypes are a pretty good fit for that, given the ease of the process (for me), and the opportunities to experiment with materials and content while growing a portfolio. As an artist, I am often working on research and attempting to exhibit fine art photography projects in galleries. And it takes me many months and even years to get to show my fine art projects. Rarely do I sell from these bodies of work (Yet!). While I pursue commercial gallery representation (an entirely different blog post), I still wanted to make work that wasn't as research intensive and easy to produce. But before that, in this blog post, I want to share my latest sale, my Mother's Day sale. We often purchase flowers for Mother's Day and I realized that, leading up to the holiday, I should offer a floral print for sale (or two or three). The result is 11 prints available on my Etsy page. All framed. All ready to ship. 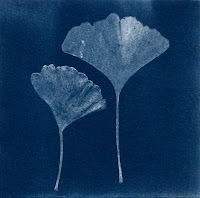 The flower prints fit nicely with the other botanical cyanotypes I made. And, I decided to add color with watercolor paint to my prints for this sale. I created three limited editions. One print features snippets of a Flowering Quince Bush, a bright red/pink bush flowering in Tower Grove Park recently. 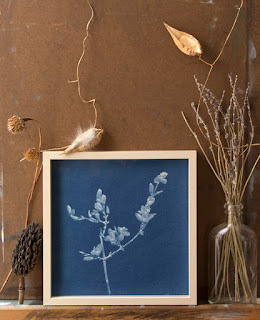 I hand colored all of the Flowering Quince prints. One edition of four prints feature Magnolias, two of them hand colored, and the other edition is of four Forsythia prints, with two of them hand colored. 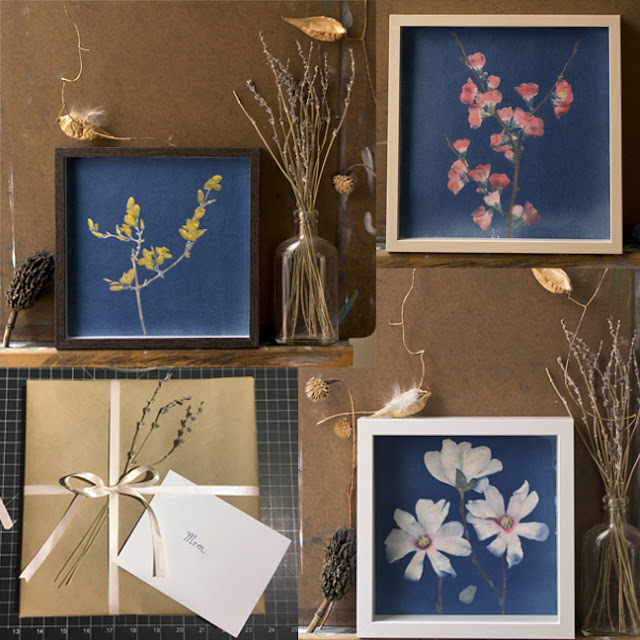 The sale part is that I am offering free shipping, quick shipping (everything is made and I even have bubble wrap and custom boxes on hand), and very affordable gift wrapping if you do choose to purchase one of my spring flower prints to give as a gift. As I am about to depart on my third residency for the year, I am hoping to sell this work to help support my art practice. Next week, I will be in Nebraska City at the Kimmel Harding Nelson Center for the Arts for a month. 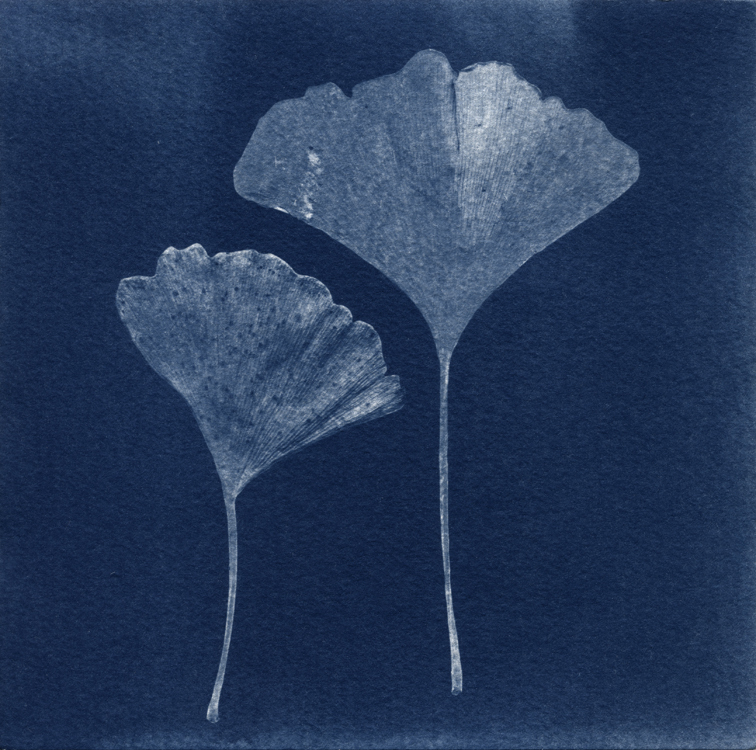 In addition to introducing and showcasing work from my Mother's Day Sale (Spring Flowers Prints), I also wanted to post photos of the different kinds of cyanotypes I have been making. When I sold some of my cyanotype work at Urban Matter, a south city shop featuring handmade work by local artists, I was thrilled! Upon meeting one of the owners, she suggested I continue making cyanotypes on canvas and turn them into wall hangings. I did and she's purchased even more of them. I had a small trunk show at the Osage Arts Community in January and sold 3 pieces, which was a boon. 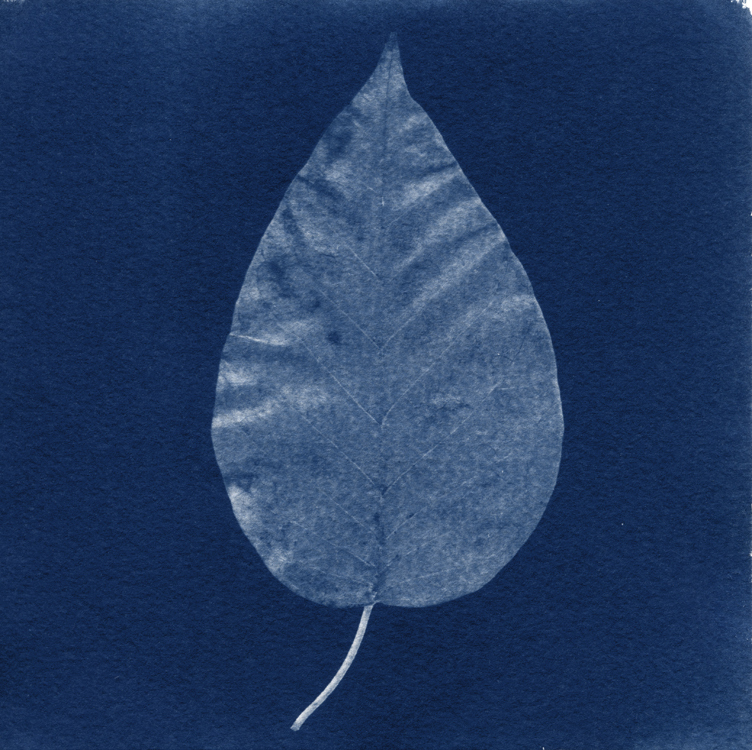 As I create my cyanotypes, my hope is they just as easily leave my home for another. I do put them on my wall. 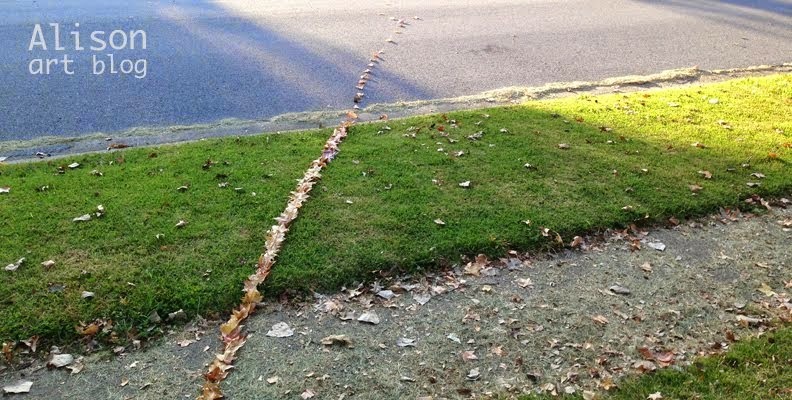 I enjoy them and think, 'I'd keep this and have it up.' But my goal is for you to have some affordable art by me too. 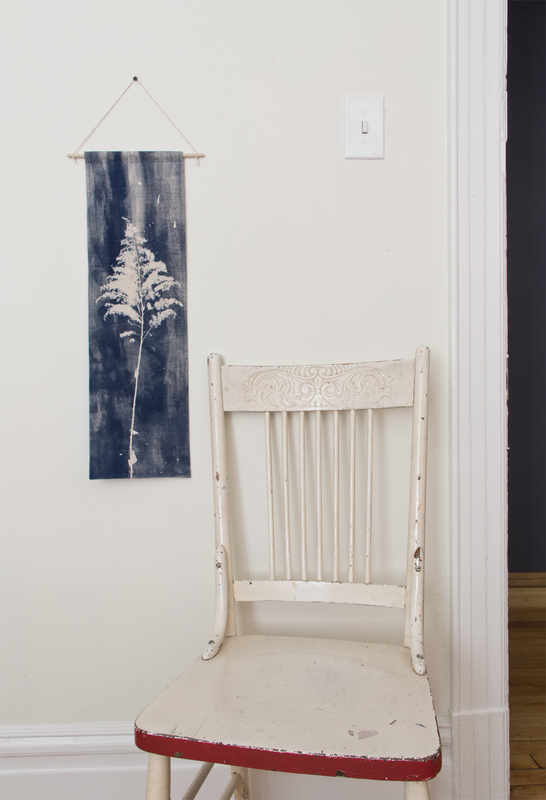 Above are the hand colored cyanotypes, the Floral Botanical prints, available as a part of my Mother's Day sale. The image in the left corner shows the gift wrapping for the sale! 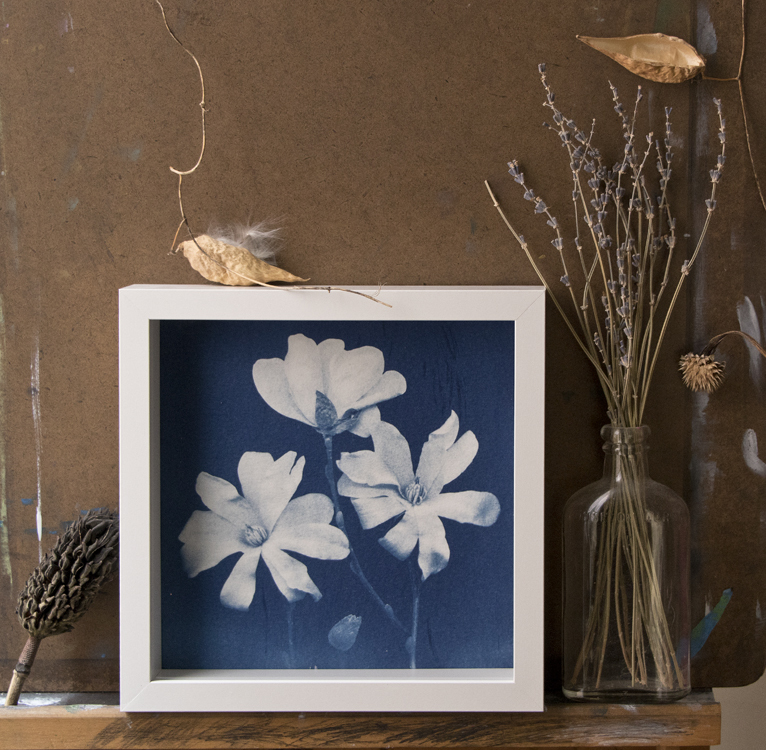 Two editions for the Mother's Day sale, the Forsythia and Magnolias, have regular blue cyanotype prints because I decided I liked them without color too! My trunk show at the OAC in January!